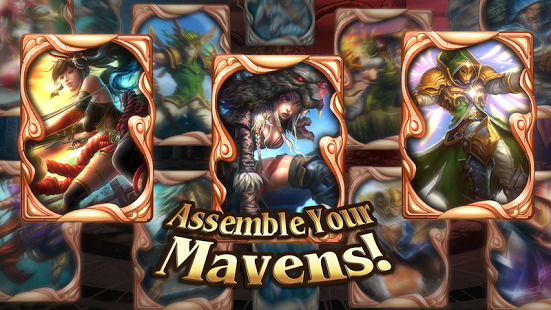 Choose your mavens, build their decks, and play your cards right in the battle arena of Mavenfall! Welcome to a land where heroes band together to do battle in epic combat, where spells and swords pierce deep into the heart of the enemy, and where the arena makes only two promises: glory or defeat. Welcome to magical realm of Mavenfall. Battle live opponents with a mix of RPG ( Role-playing game) heroes that *you* choose, each with their own set of skills that they bring to the CCG ( Collectible card game) arena. Build unique decks of cards for every hero, giving them access to spells and powers entirely their own. Dominate the competition in this original mix of strategic card games and battlefield miniatures. Mavenfall takes the deep strategy found in the most popular tactical card games and streamlines it, making it accessible to everyone. With plenty of cards, heroes and choices, you'll be able to play your Mavens your way - but the basics are easy enough that everyone can join in the fun. Mavenfall is CCG redefined. Unlock 20 different heroes to build your team, each with their own distinct skills and spells that you can use to defeat your opponents and conquer the leaderboards. Choose from Warriors, Mages, Healers and more, then build unique decks that each of your mavens to draw from. The mavens, cards, and positions you choose will make every play a different tactical battle experience. Will you put your warriors up front and your healers in back? Should your mage conjure up a creature to protect the entire squad? With endless combinations to consider, what strategy will you choose? Become the master of mavens in online multiplayer battles that unfold in real time. Build the right team to take down real players. Show the Mavenfall community you've got what it takes. 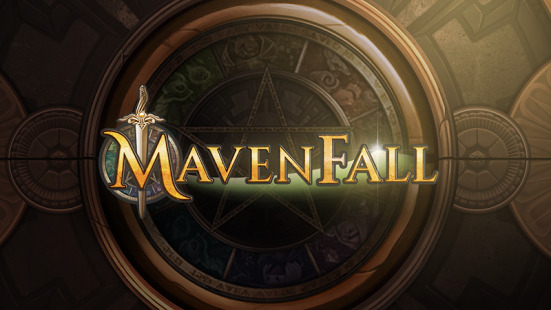 Defeat live opponents in the PVP arena and reach the #1 rank to become a Mavenfall master! With over hundreds cards to choose from, Mavenfall has refined the CCG deck-building process by letting you build a unique deck for every maven in your squad. Use cards specially designed for each maven, never doubting which cards are right for which hero. Enjoy all the fun and customization of a tactical CCG without the stress and time investment associated with traditional deck-building. 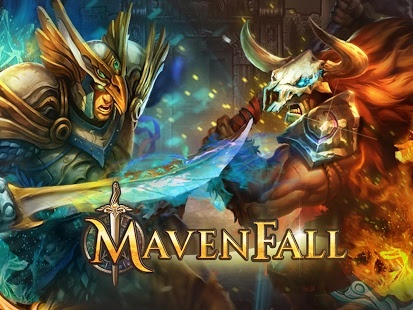 Mavenfall is an online game of card battles and glory, challenging you to defeat players from around the world in tactical card-driven combat. Collect heroes and engage in a card game unlike anything you've played before. If you're a fan of TCG ( Trading Card Game) and CCG games, Mavenfall is your next card-based obsession. Because of the game's real-time PVP nature, an internet connection is required. While Mavenfall can be downloaded and enjoyed completely free, there are optional in-app purchases for players who choose to make them.